Speed Increaser Gear Boxes are used for Steel Rolling Mill & many other type of Industries, which is used to increase the R.P.M. Mig Welding used for machine fabrication dully grinded & machined. 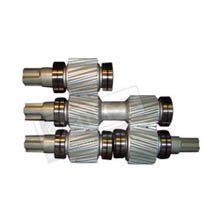 The gears of Speed Increaser Gear Box are made of EN- Series Forged Steel for Gear Material as per customer's Requirements. 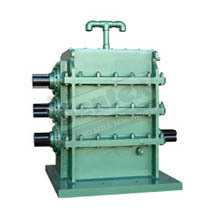 The Speed Increaser Gear Box is manufactured for as per Rolling Mill & Other Industry's Requirement.